It's 2017, and we have some great films coming our way. Unfortunately, we also have a lot of stinkers coming. So, let's see the 20 films i'm least anticipating from this year. As per usual, I should mention that this is an opinion piece about what films I don't think look good based on the information that is available, not me attempting an accurate prediction of what films will actually be awful. As has happened in the past, some of the films listed here may be among my favourites of the year.I should also mention how I often grasp at straws to find some silver lining for the film. Cars 3, the most shameful of Pixar's franchises appears to be bewilderingly dark, thanks to the trailer. Power Rangers, which appears to be a "dark & gritty" mixture of The Breakfast Club and Chronicle. Rings, a franchise expansion that doesn't seem promising, especially with Akiva Goldsman involved. The Bye Bye Man, an intriguing concept brought to life in an honestly dull & formulaic looking trailer. Bastards, a picture which looks as awkward as its own leads. Premise: One year after the events of Dog Days, Grey convinces his family to go on a road trip for his Grandmother's 90th birthday, but he actually intends on attending a convention. Why? : Remember this franchise? It was rather forgettable, yet it's returning for a fourth film, complete with a new cast portraying the same characters. Silver Lining: While forgettable, there was nothing actually awful about these films, and director David Bowers is returning after helming the previous two films. Premise: A single mother sees her son being abducted, so goes on a mission to demand help to save her son. Why? : No offence to Halle Berry, but she doesn't have the best luck with selecting films. At first glance, it appears to have little to separate it from bog standard kidnap thrillers, and seeing the films release date has been rescheduled four times already isn't promising. (Neither is how it's now got no official release date). Silver Lining: Berry should give a good performance, at least. Premise: Thousands of years ago, an ancient princess had her destiny stolen from her, through being mummified and entombed, deep beneath the desert. She is awakened in the modern world, bringing a malevolent grudge that's only grown, as well as terrors. Why? : Universal's attempt to jump on the shared universe bandwagon begins with this dull looking action/adventure flick, which appears to be disregarding its horror roots (or at least downplaying them). Silver Lining: Jon Spaihts and Christopher McQuarrie have proven themselves as terrific writers, here's hoping their combined efforts do the same here. Premise: After a high school teacher accidentally gets his colleague fired, he's challenged to an after school fight. Why? : A whole picture centred around Ice Cube looking intimidating while Charlie Day appears scared, and is called a wimp in different ways? Come on guys, you can do better. Silver Lining: The cast is at least composed of decent entertainers and talented actors. Premise: A single mother moves her three kids into a new house, not knowing its bloody history. Why? : The latest cash-cow in this never truly dead horror franchise looks rather cheap, formulaic and as though gross moments and gore will take emphasis over characters. At the end of the day, is there any need for another Amityville film? Especially when it was originally set to come out 2 years ago? Silver Lining: The director made 2013's Maniac, which was an effective piece of horror, so here's hoping it'll rub off on this film. It's also good to see Kurtwood Smith getting work. 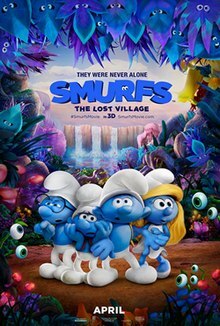 Premise: Smurfette attempts to find her purpose, by journeying to the lost village. Why? : After two unfortunate Smurfs films, a reboot seems like the best possible outcome. It's unfortunate then that the trailer doesn't do much of a job of selling the film, nor making it look much better than the other films. Silver Lining: It'll remain in the Smurfs world, so no forced human story will be crammed into the picture. Premise: Teenager Jamie must play a life or death game to save her family from three psychopaths. Why? : A bog standard looking home invasion film, meant to be released for over two years, with next to no promotional material released about it in all that time. Which of that sounds promising? Silver Lining: Chandler Riggs, Ioan Gruffudd and Bella Thorne have each proven themselves as decent actors, so here's hoping they can do the same here. Why? : Between the painful looking trailer and a Dirty Grandpa era Robert De Niro? Not much. Silver Lining: A talented cast has been assembled for this. Premise: Alice returns to Raccoon City, ready to take the final fight to the Umbrella corporation. Why? : After five films, how does Paul W.S. Anderson wish to end the franchise he's been running since 2002? With a generic race against time plot and a magic cure all. No thanks. Silver Lining: *shrugs* I like the cast. Premise: A newly divorced and mentally unstable mother threatens the family of her ex-husband, especially the life of his new wife. Why? : The combination of a petty sounding plot, a screenplay from the writer of Red Riding Hood and Katherine Heigl? Count me out. Silver Lining: I'm all for more Rosario Dawson in film. Premise: After hiding her daughter, Selene attempts to end the eternal war between Vampires and Lycans. Why? : To be honest, I'm rather surprised the Underworld franchise is still continuing on, but on the basis of the trailer, it looks as though it's jumped the shark. Selene suddenly turning into some godly creature, signified by her wearing a white coat? No thanks. Silver Lining: As somebody who used to watch Merlin, it's nice to see Bradley James come over to Hollywood. Premise: A satellite designer heads into space to stop climate-controlling satellites from creating a storm of epic proportions, while his brother discovers a plot to assassinate the President. Why? : He's a decent actor, but after Gods of Egypt and London Has Fallen, another Gerard Butler action film seems more like a threat. Especially when Dean Devlin is involved, which seems all the more threatening after Independence Day: Resurgence. Silver Lining: Reshoots were made after poor test screenings, so hopefully that'll help things. Premise: The film centres on Gene, a multi-expressional emoji, as he sets out on a journey to become a normal emoji. Why? : With The Lego Movie, Sony made cinematic gold out of a seemingly unfilmable product, so of course other studios will attempt to do the same. The next one out of the gate is a film centred around Emojis, and on the basis of all promotional material released, it's far from promising (especially after that lazy looking trailer). Silver Lining: T.J Miller and Ilana Glazer as leads? Not bad casting. Premise: Bodi is expected to become the next village guard, but instead wants to become a musician. Why? : Cheap looking animation that brings memories of Norm of the North? Clichéd storyline with little to distinguish it? Lack of actually funny jokes? 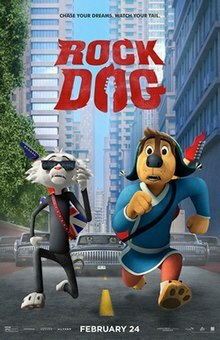 Watch out, it looks like the poor animated film that's traditionally released early in the year. Silver Lining: As said in the promotional material, this is from the co-director of Toy Story 2. Premise: None available at the current time. Why? : After failing to wrap up a franchise in a satisfactory manner, Lionsgate brings back the Saw franchise after 6 years, to capitalise on Hollywood's love for the nostalgic. Because that's all the horror genre needs, more convoluted traps to deliver overly gory scenes, scripted by the writer The Hungover Games. Silver Lining: From The Spierig Brothers, directors of Daybreakers and Predestination? Not a bad choice. 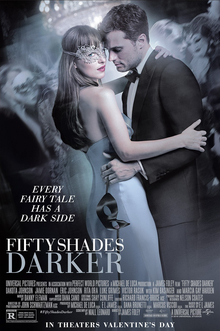 Premise: A wounded Christian convinces Ana to give another chance to their relationship, under her conditions. But Christian's past threatens to tear apart their relationship. Why? : After viewing the first Fifty Shades of Grey film, another instalment is far from anticipated. Previous screenwriter Kelly Marcel tried hard to keep out the more laughably written moments from the books, so with the new screenwriter being married to James, expect more of their inclusion. Silver Lining: It's a bit hopeful that director James Foley previously delivered Glengarry Glen Ross. Plus, Dakota Johnson should deliver a charming performance once more. Premise: The park animals must band together to prevent Oakton City's crooked mayor from bulldozing Liberty Park, and replacing it with a dangerous amusement park. Why? : Remember 2014's The Nut Job? It's understandable if you don't, since the product was downright ugly and easily forgettable. Unfortunately, it's been given a sequel, and it doesn't look like much will have changed this time around. Silver Lining: Unless the filmmakers are exceptionally out of touch, don't expect another cameo from Psy. Premise: An international art dealer befriends a homeless man to save his relationship with his wife, a woman whose dreams will lead them all on the journey of their lives. Why? 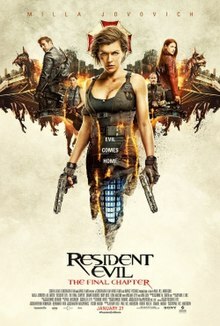 : Trailers aren't always the best indicator of a films quality, but the one for this film does it absolutely no favours. Centred around a man who must act as white saviour to a poor, dangerous, homeless man, because his wife had a dream about him? It's a picture that looks utterly condescending, and frankly, rather like trash. Silver Lining: A talented cast have been brought together for this. Premise: A scrappy young dog dreams of becoming a samurai, and must save the inhabitants of a town. Why? : Remember Mel Brooks' classic, Blazing Saddles? Well here comes a family friendly affair supposedly inspired by it. But where Brooks used the film to make racial commentary, expect this to just rip off the plot and characters. Plus, the humour doesn't appear to get any better than a town named "Kakamucho" (translation: lots of poop). Silver Lining: It'll inspire people to rewatch Blazing Saddles. 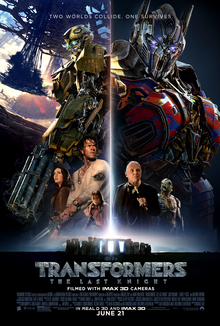 Premise: Transformers, explosions, needless humans. Need I say more? Why? : I don't want to say I don't trust Michael Bay with a Transformers film, but after the last four, I'd sooner trust a random dog to direct these films. The ugly looking trailer doesn't help things, neither does the seemingly out of place Nazi and Knight content. Silver Lining: Franchise mainstay Ehren Krueger isn't writing the script, at least.